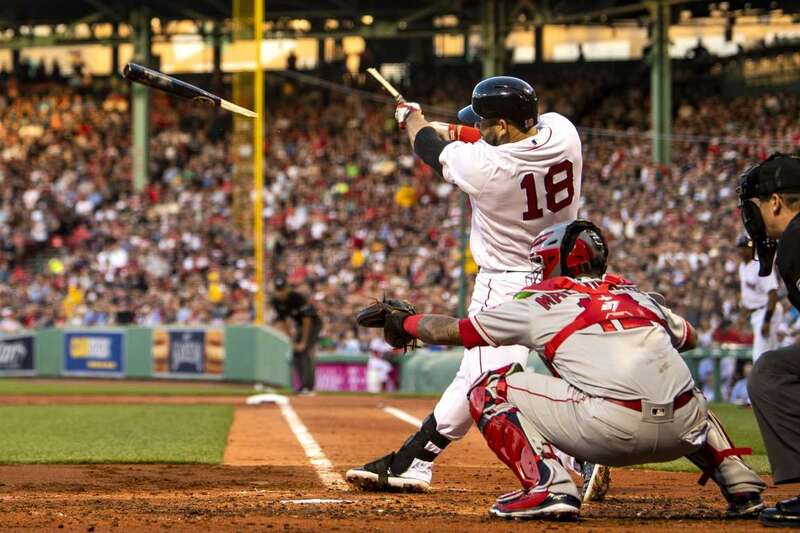 Mitch Moreland of the Red Sox breaks his bat against the Angels on Tuesday in Boston. The Red Sox won 9-1. 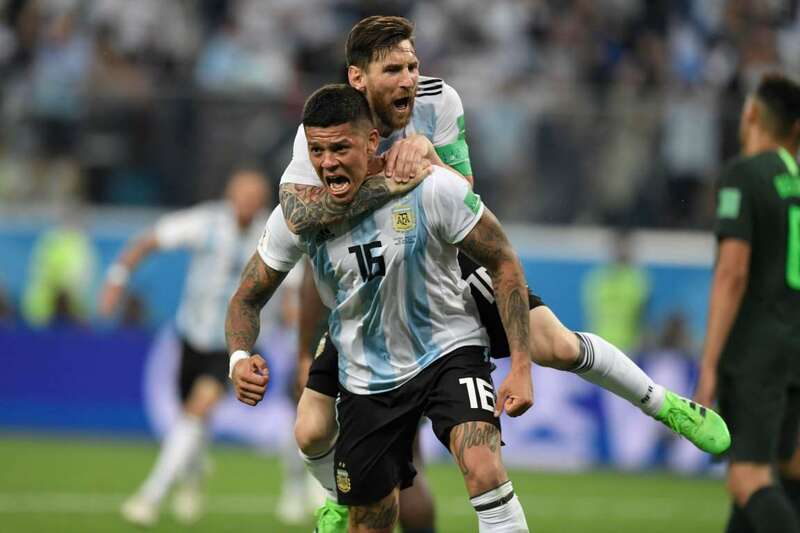 Argentina's defender Marcos Rojo (lower) celebrates his goal with Lionel Messi during the World Cup match against Nigeria on Tuesday in Saint Petersburg, Russia. Argentina won 2-1. 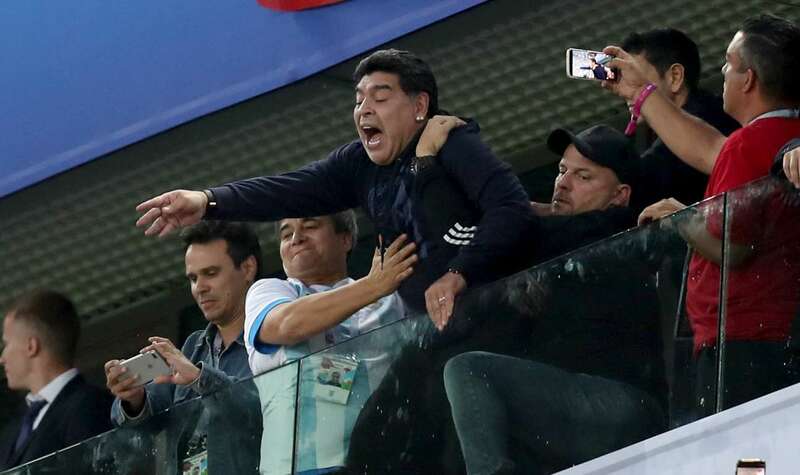 Maradona celebrates Argentina's victory following the World Cup match against Nigeria on Tuesday in Saint Petersburg. Russia. Arkansas' Jax Biggers and Carson Shaddy celebrate the win against Oregon State during the College World Series on Tuesday in Omaha, Nebraska. Arkansas won 4-1. 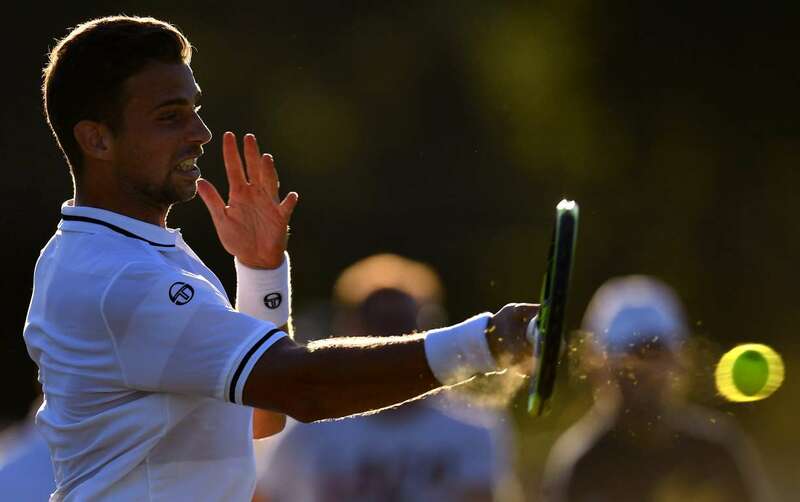 Stefano Napolitano of Italy plays a forehand against compatriot Salvatore Caruso during Wimbledon Championships Qualifying on Tuesday in London. Stefano won 5-7, 6-2, 6-2. 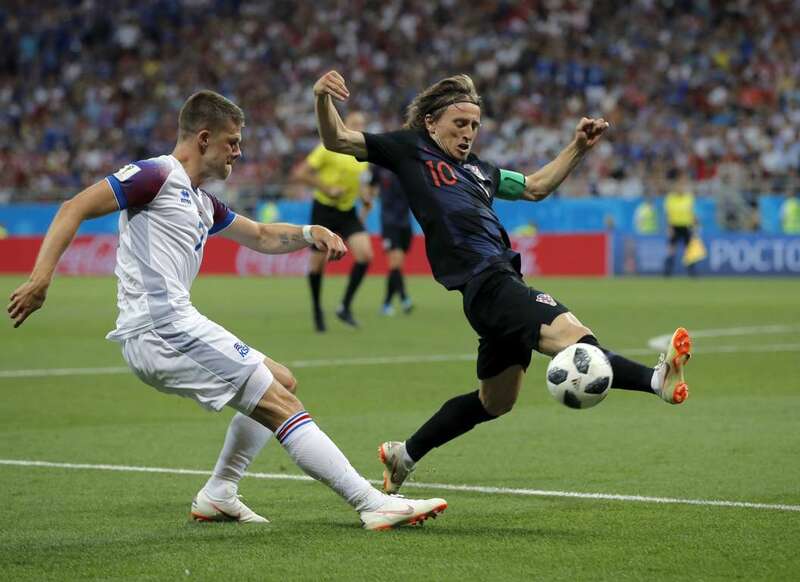 Croatia's Luka Modric, right, duels for the ball with Iceland's Johann Gudmundsson during a World Cup football match on Tuesday in Rostov-on-Don, Russia. Croatia won 2-1. 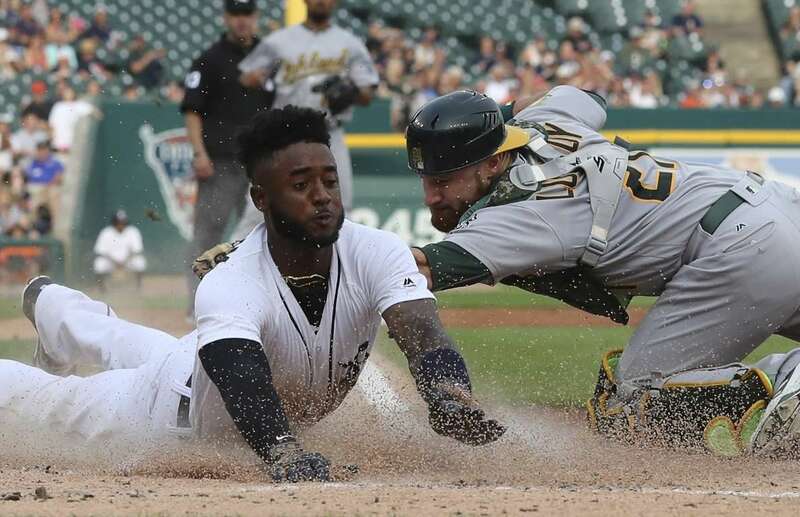 The Tigers’ Niko Goodrum beats the tag of the Athletics’ Jonathan Lucroy to score from second on Tuesday in Detroit. The Athletics won 9-7. 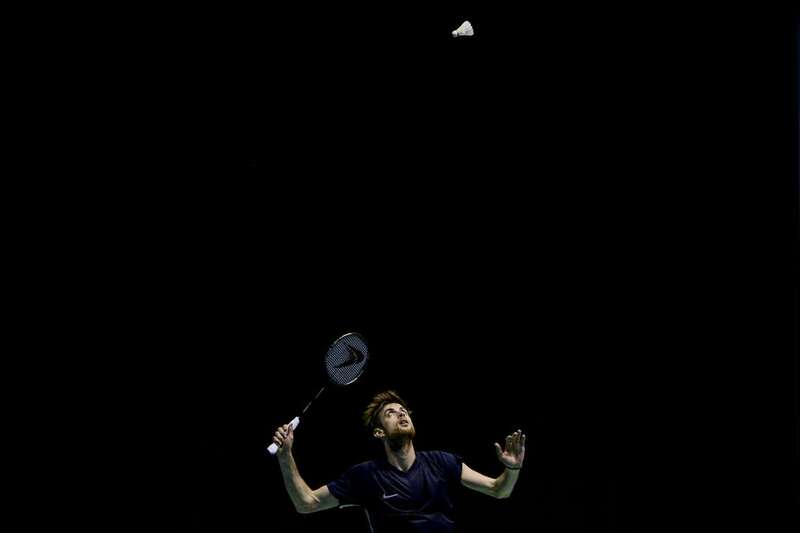 French Lucas Maurice Corvee returns to Spanish Pablo Abian during their badminton Singles Finals - Gold Medal Match at the XVIII Mediterranean Games on Tuesday in El Morell, near Tarragona, Spain. 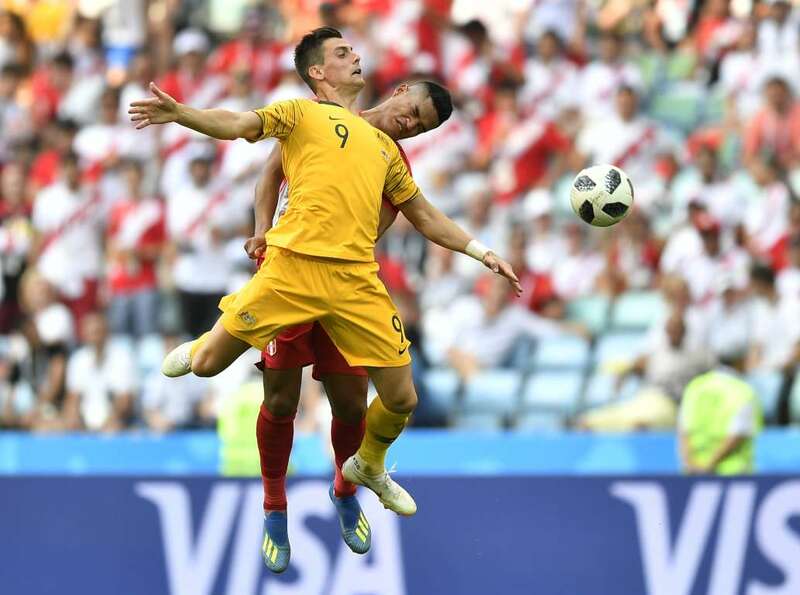 Peru's Anderson Santamaria, back, and Australia's Tomi Juric go for a header during a World Cup football match on Tuesday in Sochi, Russia. 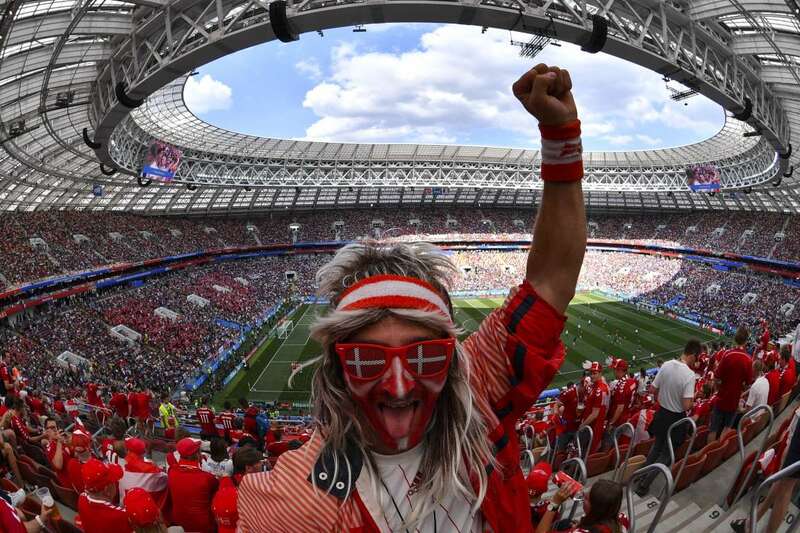 Peru won 2-0. 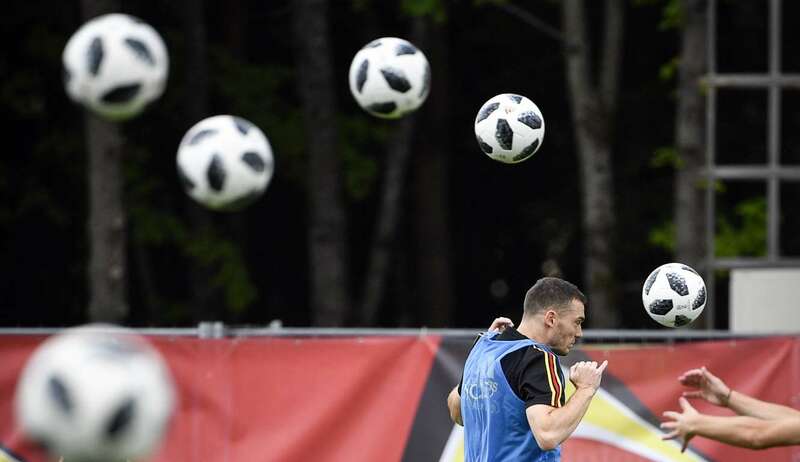 Belgium's defender Thomas Vermaelen takes part in a training session on Tuesday in Dedovsk outside Moscow, ahead of the World Cup match against England. 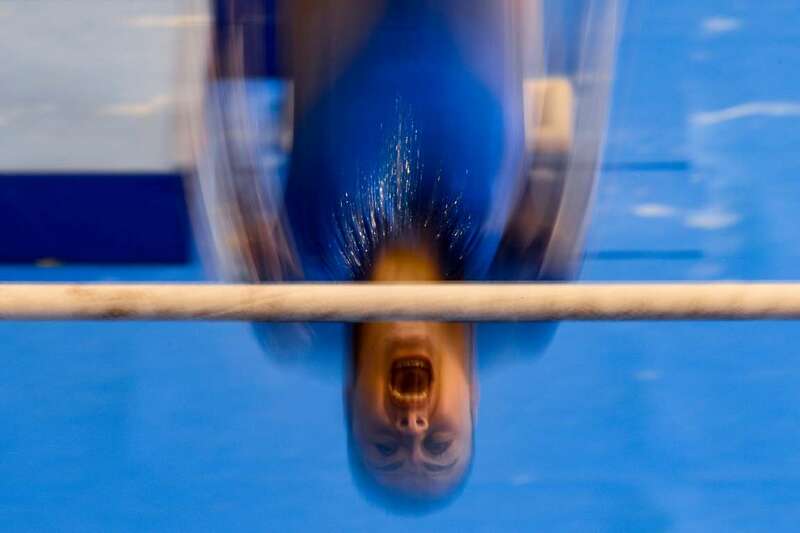 Turkish gymnast Tutya Yilmaz competes during the Uneven bars Finals on Tuesday in Reus near Tarragona, Spain. 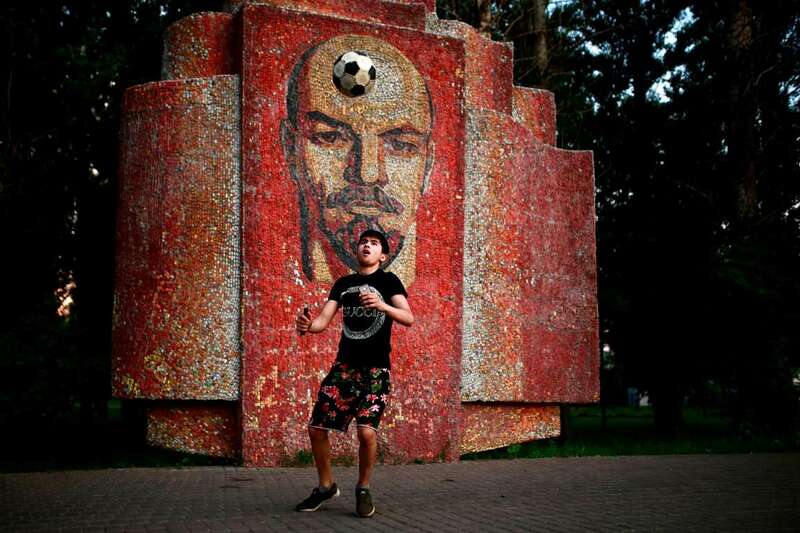 A boy juggles with a ball in front of a mosaic depicting Russian communist leader Vladimir Lenin on Tuesday in Kazan, Russia during the World Cup.